This reference pic only shows the front, but in the back there is another black bow about twice as big as the one in front. 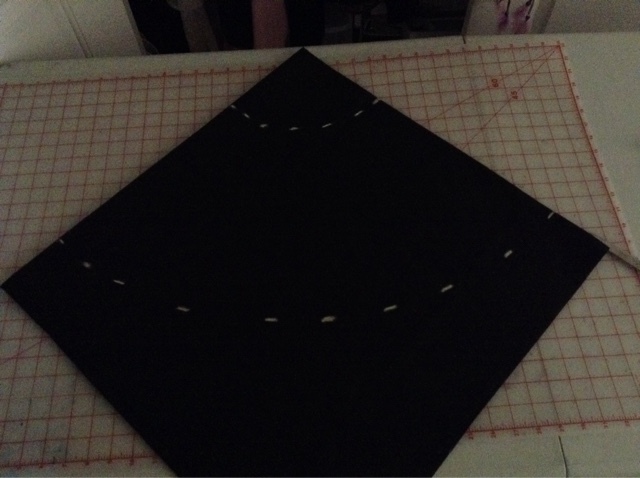 STEP 3: First you want to get the measurements for your skirt. I will be using part of this tutorial: DIY Circle Skirt Tutorial or you can watch any of Yumi King's videos on YouTube. To get the measurements for the 'smaller' circle measure the circumference of your hips then divide that by 3.14, take that number and divide it by 2. And you've got your first measurement! (Ex. Hip measurement is 37 inches. 37/3.14=11.78 rounded up to 12, 12/2=6. Smaller circle measurement is 6 inches.) Once you have your smaller circle measurement find the one for your larger circle, which will be the length of the skirt. To find this measurement, measure from where that waistband will be to where you are comfortable having the end of your skirt. Mine will be just below where my fingertips naturally end. STEP 4: Now that you have your measurements fold your yard of fabric in half, if you have a rectangle cut it so it becomes square. The easiest way to do this is to measure the width of your fabric (from selvage to selvage) and you'll find out how long your fabric needs to be. The fabric that I'm using is 44 inches wide, so just over a yard. 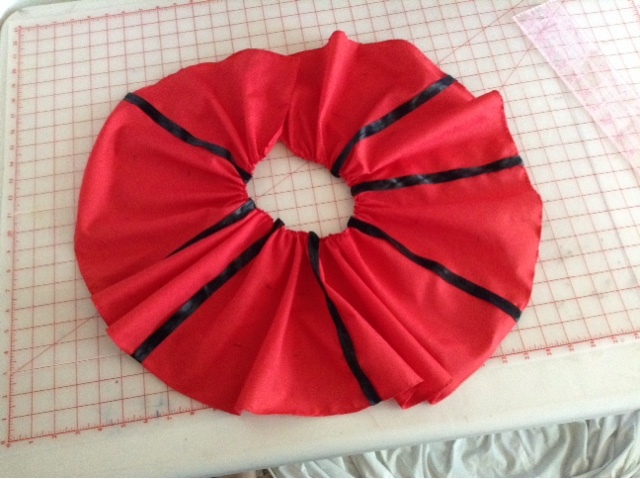 Fold your squared fabric piece twice, once lengthwise and once widthwise, or hotdog and hamburger. Now take your chalk and flexible measuring tape (or a ruler) and mark the two circles. Make sure to start measuring at the 'folded' corner. Mark your fabric with several dashes of the same measurement so that you have two dashed lines where you will cut the fabric. Then cut the fabric and unfold, if you have two skirt cutouts then that just means that you folded it a couple more times than necessary. STEP 5: Unfold your skirt and lay it flat. Cut a straight line so that you can open your circle. This will be where the zipper will be placed. STEP 6: Hem the inner and outer (smaller and larger) circles by folding the edges over once. You want to make a 1/8 inch hem. Fold the hem so that the chalk markings are on the inside of the skirt. 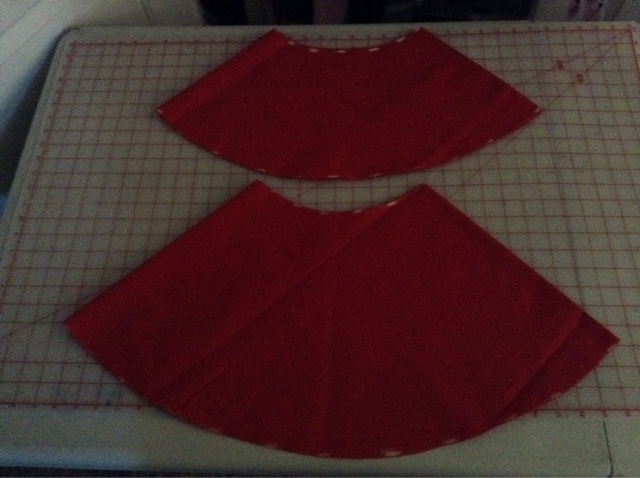 STEP 7: Repeat steps 4-6 to make two red skirts. One of the skirts should be three inches shorter than the other. STEP 8: Now to make the ruffles! 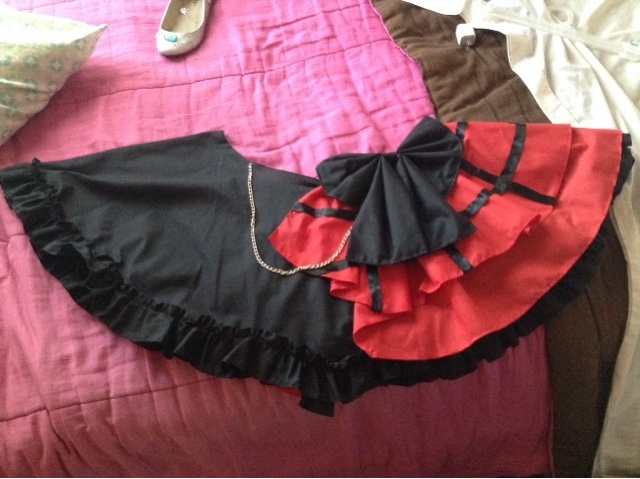 The ruffles are on the black skirt only. 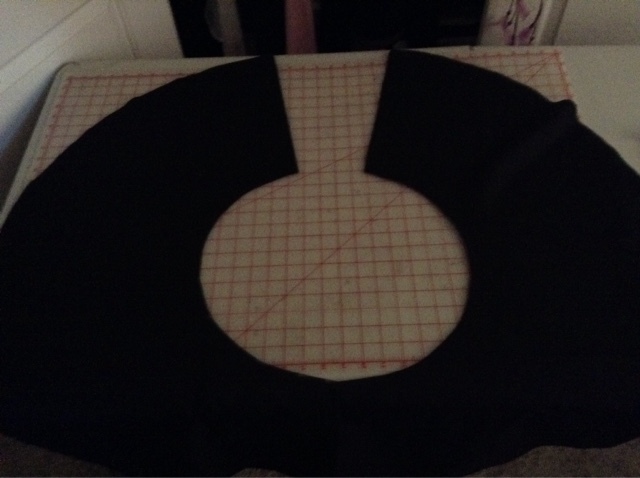 Cut six or seven 3" wide black strips and hem them all. It took five for my skirt but you may need more. Hem all of your fabric strips with a 1/8" seam. When all of the strips are hemmed take your strips and sew them so that you have two sets of two strips sewn together and then the extra strip left over. Then sew a baste stitch along one of the edges, use a 5/8" seam, then pull the top thread and gather the fabric! This is a very easy method and can be done with a little sewing experience and know-how. 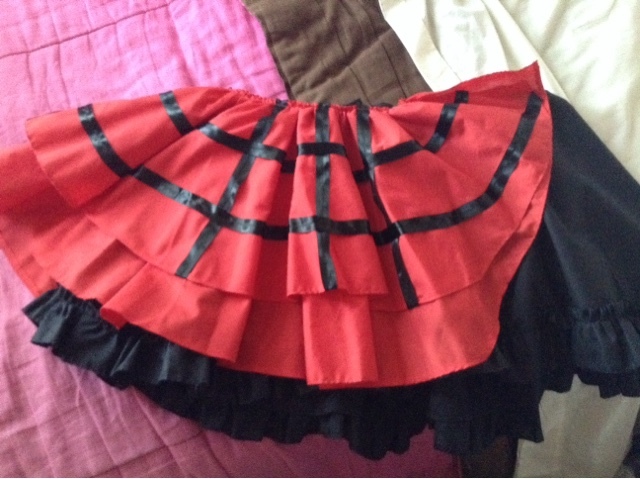 Now take your ruffles and pin them to the bottom edge of the black skirt. 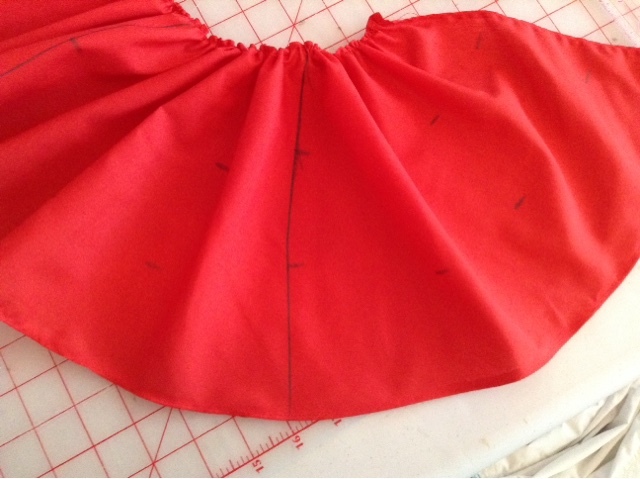 The seam should be 5/8" from the edge of the skirt. Once you have all of the ruffles sewn on, sew on the zipper. To insert the zipper, use the instructions printed on the inside of the package or google it. STEP 9: Now onto the two overskirts! You're going to hem them with a 1/8" hem, just like the black skirt. Once they're hemmed sew a baste stitch along the tops of both skirts. You're going to do exactly what you did with the ruffles, but this time you'll need to adjust the skirt so that it looks the way it does in the reference photo. These skirts are placed on the left side, covering most of the front and back. Adjust both red skirts while wearing the black one. When finished stitch the ends of the baste stitch into place using the extra thread from gathering the fabric. 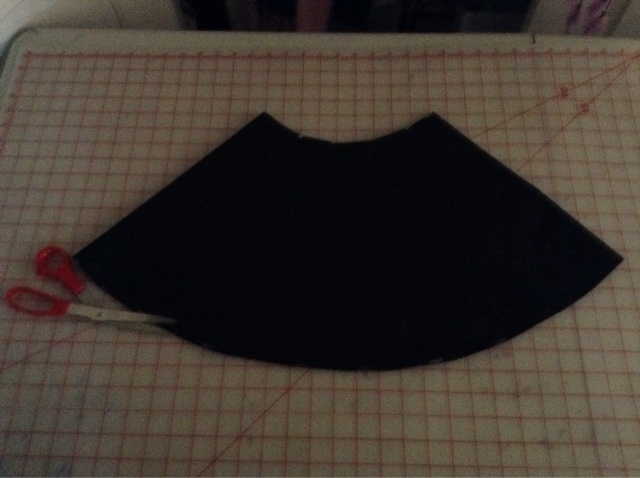 STEP 10: Now to sew the black ribbon onto the shortest skirt! Take a ruler and mark 3" spaces along the top of the skirt. Along each of those marks draw a line all the way down the skirt. Next measure 3" down from the top of the skirt and make a mark all the way around the skirt. Do this again at 6". When you have all of your marks on your skirt sew the black ribbon to the skirt following the marks you made. 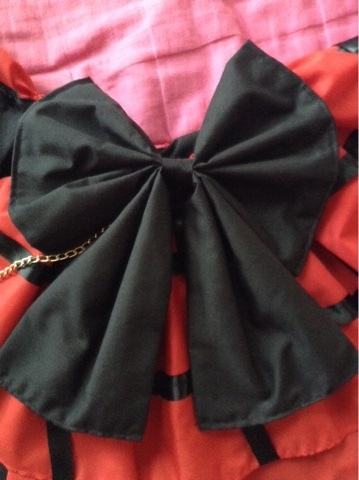 Make sure to fold the ends of the ribbon under the skirt to give it that nice finished look. 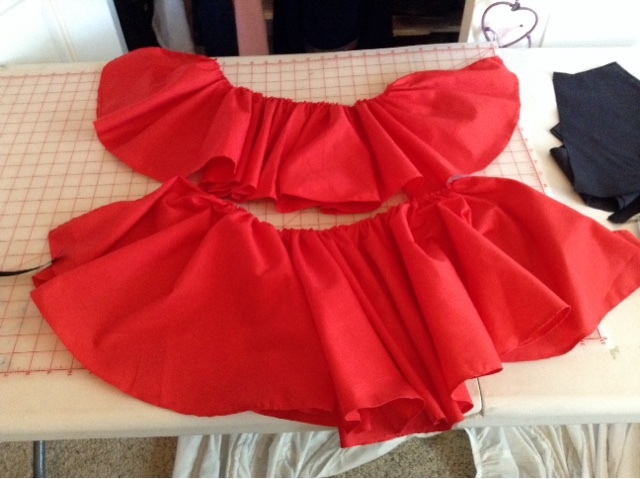 STEP 11: Once you have the ribbon sewn onto the shorter skirt sew the two skirts to each other. Then you'll put on the black skirt and pin the red skirts to the black one so that it looks how you want it to be and how it looks in the reference pic. 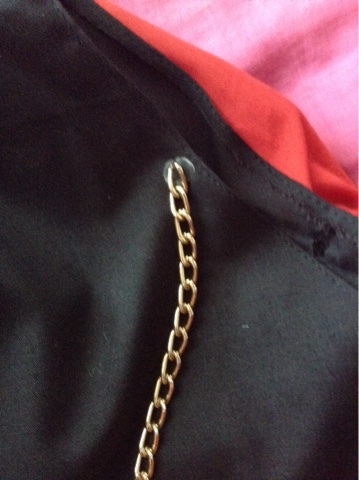 Pin it in place and then sew it to the black skirt along the waist band. I sewed them on so that it covered the zipper. 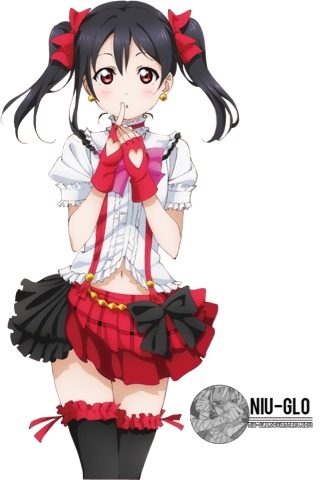 If this happens then sew the red skirts to the black skirt til you reach the one side of the zippered sides of the skirt. When you reach the zipper stop sewing or else you'll sew over your zipper and then your zipper won't work anymore. Next sew a hook and eye to the edges of the overlapping skirts. This will keep the skirts attached and cover the zipper. STEP 13: After you've sewn your bow take out your chain and put on your skirt and shirt. Line the ends up with the buttons, adjust to your liking and then cut it. Now you can do this one of two ways; you can hot glue it or you can sew it. I used the hot glue method because I was in a rush to get it finished for a cosplay contest at my local county fair. 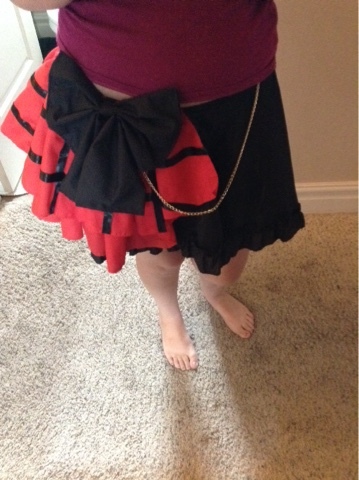 After you've sewn or hot glued your chain to your skirt hot glue the bow into place jus below where the end of the chain is on the red skirt.